A important area to review any process is for efficiency. While it’s obvious why we would want to create improvements in efficiency, how to get there is less so. By taking a separate look at each aspect of our process for understanding, efficiency and quality we are less likely to overlook important elements. The check list below and guidelines on the task to the right illustrate how you can ensure we don’t miss opportunities. 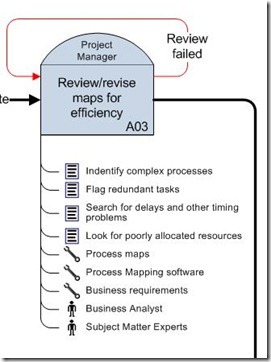 The task on the right is excerpted from a Simplified approach to process mapping.